Our Saint Paul location has a paintball gear store that provides everything needed for the game from the helmet to the paintball markers, as well services for the compressed air paintball tank. 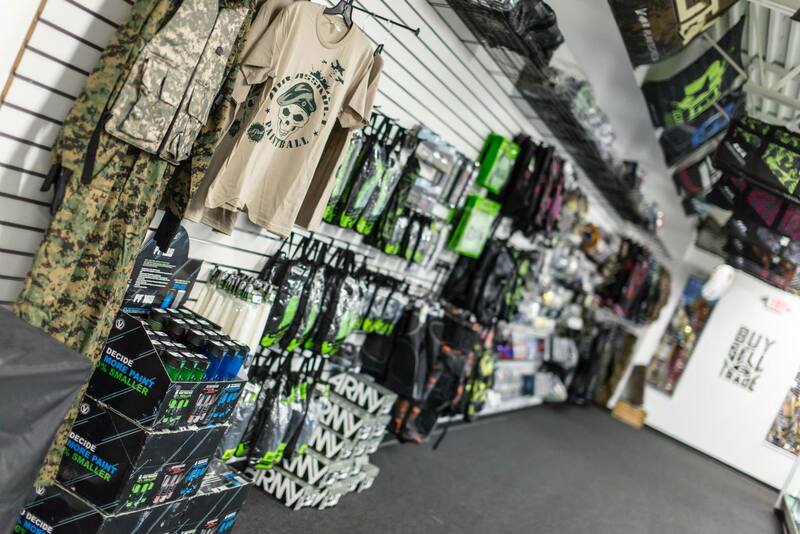 Air Assaults Pro Shop is the ultimate paintball gear store that also offers repair and maintenance for every paintball need. The staff is professional with several years of experience with factory certified technicians. The gear comes from some of the top paintball equipment manufacturers which includes: Tippmann, Planet Eclipse, Proto, Dye, Ninja, JT, US Army Paintball, Valken and a host of others. Air Assault Paintball Games is a perfect choice for birthday parties, family reunions and a variety of other social gatherings from the youngest to the oldest. Whether you are looking for the ideal location for a celebration with paintball games or a paintball gear store for purchasing or maintenance, the Air Assault Paintball Games Park in the Minneapolis, MN area is the perfect choice. Air Assault Paintball Games has become one of the favorite indoor paintball parks for Minneapolis and the surrounding areas. We can accommodate just about any private group request, 24/7, 365 days a year! We are able to accommodate groups of up to 150 and more. Walk on play is also available certain times of the year for players who do not have a large enough group to reserve a spot. Just give us a call at 651-222-0300 with any questions or to reserve your teams spot. Please call at least a week in advance to ensure you get the day and time you want.